The Book of Spells Release Day! I am so excited to share the official love spell from the Marriage to a Billionaire series! Readers have been asking me for two things since The Marriage Bargain exploded on the market last year: the actual love spell used in the book, and a short story about Nick and Alexa. Use it with a whole heart and open mind. You may have fun re-reading the series since each character uses the spell differently. I truly hope you enjoy re-visiting Alexa and Nick as much as I enjoyed writing about them. The short story is called Second Chances, and has already been garnering lovely reviews. They always hold a special place in my heart because my journey began with this little book that was rejected numerous times before it burst into the world and was embraced by the readers. Thank you once again for letting me on your reading journey. I hope we have many more together! Buy it now on Barnes and Noble! Don’t forget to sign up for my newsletter at my website! A special sneek preview from Chapter One in The Marriage Merger will be given -which includes the mysterious Book of Spells. You don’t want to miss out! 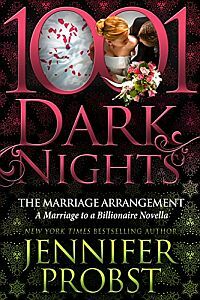 I have read the Marriage to a Billionaire Series books. I loved them all. In the Marriage Merger, Venezia and Dominick were mentioned. Did I miss this story or are you going to still write about them? At the very end of this book, it looks like Mama Dante has arranged for all her children to be married, so it doesn’t looks like another one is coming – just curious. HI Bev! I started the series with Venezia and Dominick already engaged, so they never truly got their story explained. I don’t think I ever will since that couple has been in the background and was the vehicle needed to get Michael and Maggie together! Thanks for stopping in!